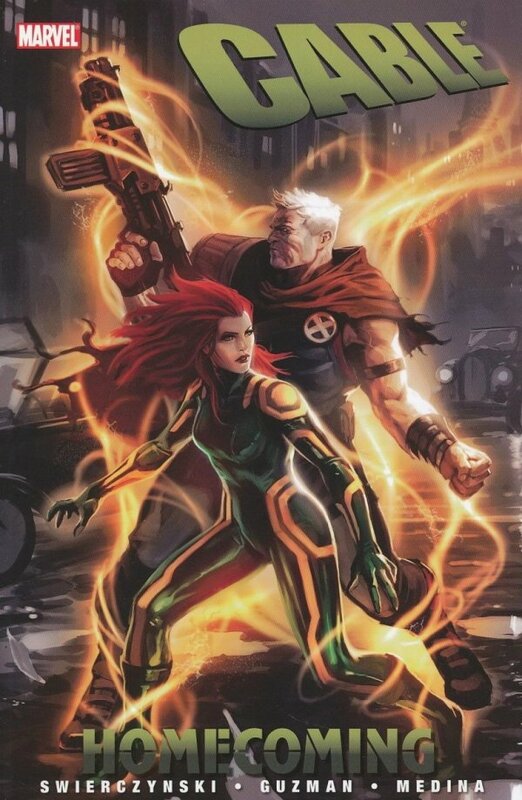 It's the end of the world for Cable and Hope. Literally. With Lucas Bishop hunting them day and night and a malfunctioning time machine that will only allow them to travel into the future, the unlikely duo has run out of time. But Cable works best under pressure. And when he hijacks Bishop's time machine and uses it to leap into the past, he thinks he's outwitted his nemesis for good. 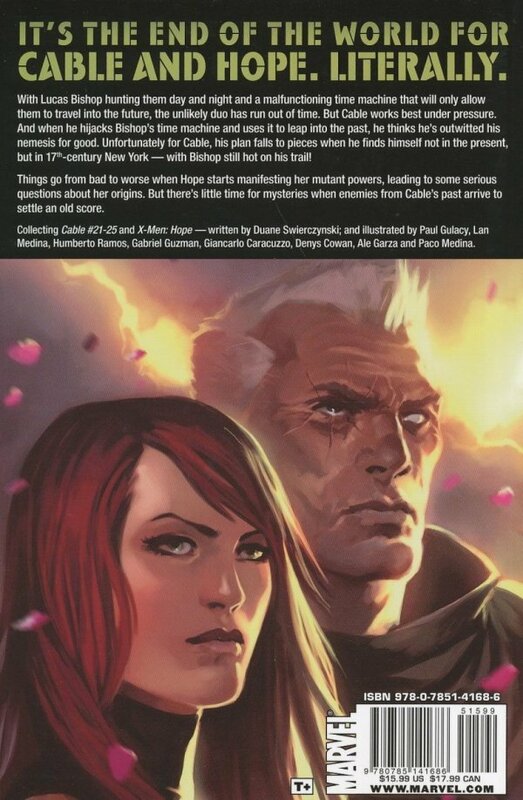 Unfortunately for Cable, his plan falls to pieces when he finds himself not in the present, but in 17th-century New York - with Bishop still hot on his trail! Things go from bad to worse when Hope starts manifesting her mutant powers, leading to some serious questions about her origins. But there's little time for mysteries when enemies from Cable's past arrive to settle an old score.